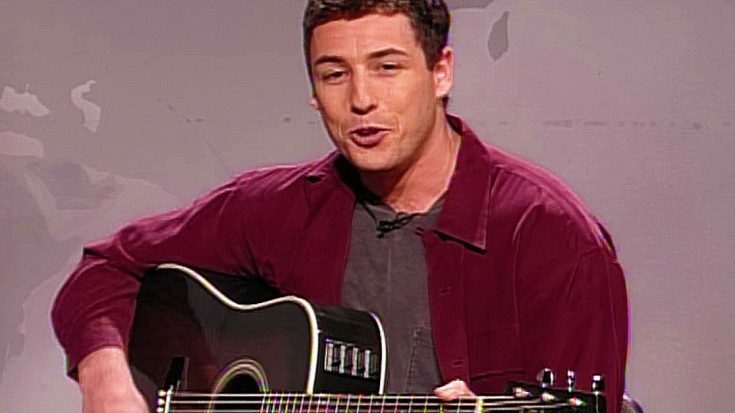 It’s officially the first night of Chanukah, which means that it’s time to dig out our favorite winter holiday staple – Adam Sandler’s iconic “Chanukah Song” and guys, let me just say that in case you forgot, it’s still the greatest thing ever. A novelty song written by Sandler with the help of Saturday Night Live writers Lewis Morton and Ian Maxtone-Graham, “The Chanukah Song” first saw the light of day on Saturday Night Live‘s Weekend Update on December 3, 1994; it was written around the theme of Jewish children not having a fun holiday song of their own, and Sandler’s listing of Jewish celebrities (both real and fictional) as a way of sympathizing with their situation proves to be both heartwarming and hilarious (to no one’s surprise, OJ Simpson is very much not Jewish). Whether you celebrate Chanukah or Christmas, there’s no denying that “The Chanukah Song” still holds up as a major part of the holidays, and we hope it brings a smile to your face today.